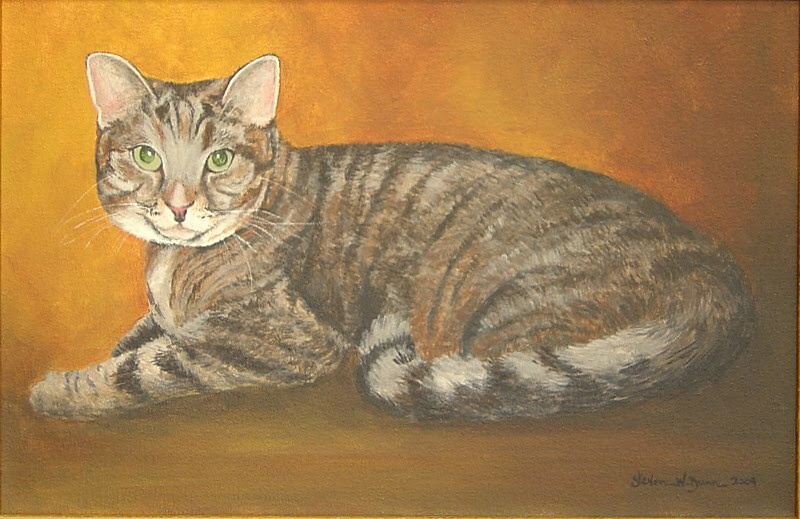 Just finished this commissioned cat portrait. This looks just like a cat we had years ago named "Ginger". Thanks for looking at my artwork dear relative of mine! You think maybe "Katie" and "Ginger" are related? I actually did two paintings of this cat for my client who has two sons and wanted each of them to have an original painting of thier pet!